The cotton fabric ribbon is super soft, and it is beautiful in its natural fabric material. 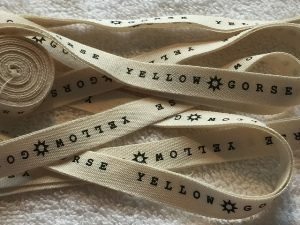 We provide 100 % pure cotton woven edge ribbon; and they are all hand-print production. The natural cotton fluffy fiber is not only delightful to look at and comfortable touch, good for delicate skin, but it carries an important message about how much we love an environmentally friendly fabric. 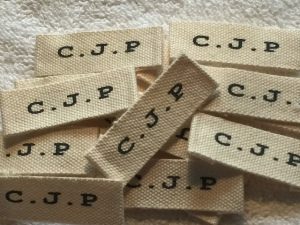 We provide printed cotton ribbons for garment, leisurewear, kids wear, cushions, pillows, luggage, bags, and craft and hobby applications. The natural cotton ribbons are very comfortable, and soft against the skin. 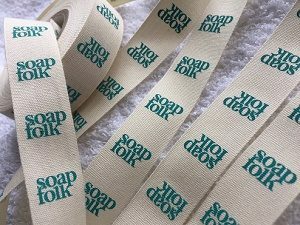 The silk-screen handprint logo on the pure 100% cotton ribbon creates a beautiful printing, good colour retention. They are machine-washable, dry cleanable. It is a good strength fabric ribbon for wrapping as well. 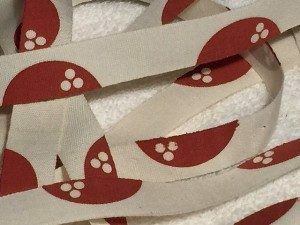 Our cotton tapes are also extremely popular for apron ties, bunting and bindings. Beautiful trim can add such perfect finishing touch to any quilting, home décor, or fashion project. 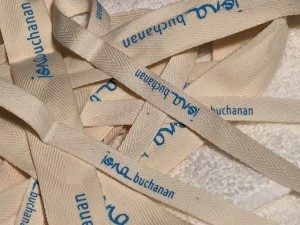 Finish clothing, accessories, and quilts with cotton, grosgrain, or jacquard textile ribbon will show you how to transform colourful strips of fabric into cute craft project. Contact us and send your artwork to start customized a natural cellulose fiber cotton ribbon. 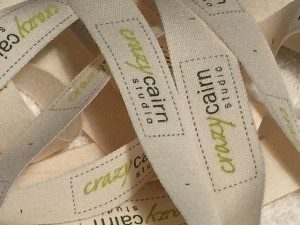 Printed Satin, Herringbone, Grosgrain Ribbons; Woven Jacquard Ribbons and Metallic Trims; Bespoke Designer Textiles Jacquard Ribbons; Printed and Woven Jacquard Cotton Ribbons; Dog Collar Ribbons.